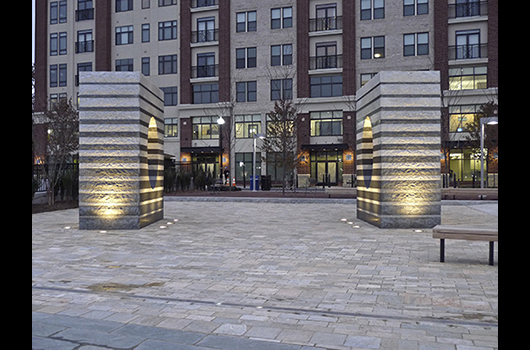 As a member of Penrose Square’s landscape design team, Richard Deutsch created this interactive sculpture inspired by the Three Sisters Radio Towers, formerly located near Columbia Pike and Courthouse Road. Built in 1913 by the Navy as cutting edge technology, the Towers broadcast the first trans-Atlantic radio signal in 1915, connecting Arlington with the Eiffel Tower. They also introduced regular broadcasts of time signals — important navigational aids for ships at sea. When National Airport opened in 1941 the Towers posed an aviation hazard and were taken down. 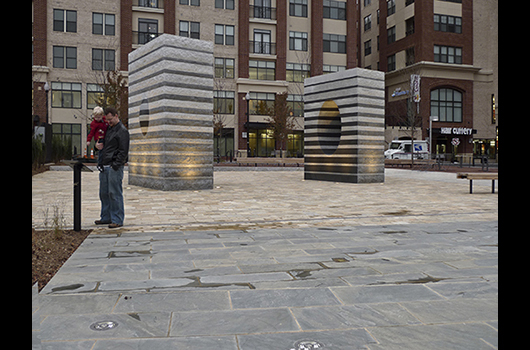 Echo provides a modern interpretation of Arlington’s significant contribution to the history of communication. 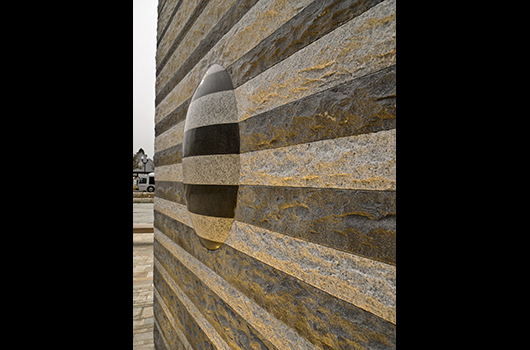 The concave elliptical parabolas carved into each granite monolith reflect and project sound, allowing words spoken into one stone to be heard by listeners at the other. California-based artist Deutsch designs sculpture and environments using stone, water, bronze, and stainless steel. Like Echo, much of his work is marked by an understanding of the unique spatial and environmental qualities of a given site and an attention to its social context and history. 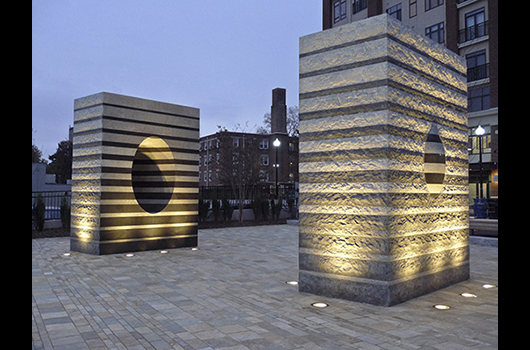 Echo was selected as one of the top 50 public art projects in the nation by Americans for the Arts Public Art Network Year in Review 2012. Read the press release. 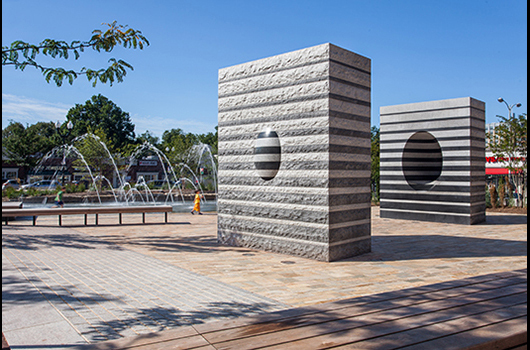 View the Echo Penrose Square Presentation. 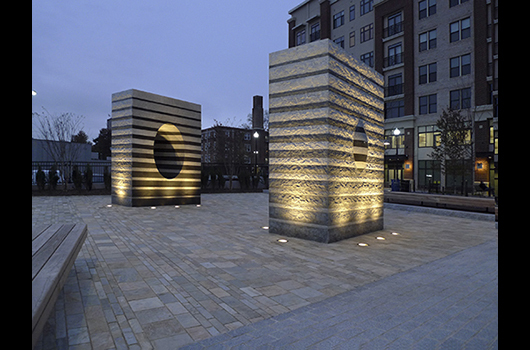 Watch a video of Penrose Square’s November 2012 Dedication. See more pictures of Echo.